First off let me say that this is a bit of a cop out, because a tie is me just being silly as you sit at your computer and say, “Really Sunshine, you couldn’t pick one over the other?” I mean, I could but luckily for me I don’t have to. Bayside and Say Anything are touring together at the time that I am writing this. It is true that this isn’t an anniversary tour, but both of these albums were located in the glove compartment of my 2001 Toyota Four Runner until the day that I traded it in and both bands are top notch performers. I would check out some tour dates and hope that shows aren’t sold out because I can’t think of a better way to celebrate high school angst. Great things to come out of North Carolina include Bojangles, Cheerwine, The Durham Bulls, and.The Avett Brothers. There are more things to celebrate about the Tarheel State but The Avett Brothers’ Emotionalism has to be close to to top of the list. This album was a gift to me that never stopped giving. The Avett Brothers use a wonderful balance of folk, indie rock, and bluegrass to create a concert going experience unlike any other. They know how to work a crowd and their passion and stage presence help make them a force to be reckoned with. I was young and just getting out of high school. There were hookups and breakups and I was lucky enough to have, Ocala, Florida’s very own, A Day To Remember to help get me through those times. This album is a monolith of sound, filled with anger, energy, spirit and I loved every second of it. My love of mosh pits started with these guys and to me they haven’t topped this album. Even though these guys are selling out stadiums now, there was something about seeing them in a smaller venue and leaving each show with my t-shirt covered with a lot of sweat and a little blood. Whether it be a bar or a stadium, seeing a 10 Year Anniversary tour of FTWHAH would be awesome! I think, that without questions, Songs about Jane is the best album that Maroon 5 ever made. There is a creative intensity that I don’t believe that Maroon 5 has ever duplicated on future projects. I think that hearing this album from start to finish would be a real treat. This album finds strength in it’s depth. Not depth in content necessarily but depth in the track listing. Solid track follows solid track and if they decide to tour this album around, we will all be singing along all night, whether you would like to admit it or not. There was no way that we were making this list without having this album on here. Not only does Arcade Fire put on a killer concert, but this album blew people away in 2007 and it still holds up. Neon Bible is just flat out beautiful. It is a powerhouse of sound that ebbs and flows through the tracklist and is nothing short of a religious experience. Oh man, how cool would this tour be? I love that Against Me! is still touring around and this being my favorite album in their arsenal definitely helps it make the list. Not only is Laura Jane Grace and absolute badass but the music is just downright fun. It’s a punk rock sing-a-long and everyone is invited. It’s raw, dirty, high energy, and edibly delicious. There is something powerful about an Against Me! show and though it might sound corny, you feel like you belong. That’s something special. The man has made some questionable decisions in the past, but that doesn’t mean that he doesn’t put on a good show. (Except when he doesn’t put on a good show, or finish a show, or put on a show at all) Whatever, I want to see this tour. I loved the album in 2007 and it doesn’t dwindle over time, Steely Dan samples and all. This is arguably Kanye West in his prime and I would love to experience the show that his mind would throw together. West also has this insane ability to be incredibly vulnerable in his work. He hides nothing and produces works of art that are unapologetically candid. I respect that. I am proud to say that this was the first album I ever bought which blows my mind because my mom, Bootsie, was with me and I managed to sneak the album past her. (High Five to tiny Sunshine) I listened to this album non-stop for a year straight and it still impresses as it ages. I would pay boatloads of the money, that I do not have, to hear this album straight through in a House of Blues sized venue. Seriously, just a ridiculous amount of money. There is a gentle feeling that surrounds By The Way but their is no doubt in my mind that Anthony Kiedis and the rest of the crew would create an experience that is anything but gentle. It would be a killer tour. I am going to put something out into the open (you can send your hate mail to TheArkofE@gmail.com) but I love In Rainbows more than OK Computer. That being said, there is no denying that both of these albums are incredibly beautiful. We’ve been lucky enough to have Radiohead around for longer than I’ve been alive and they continue to pump out a high quality of music. They also changed the game with their “Pay what you want” distribution model with In Rainbows, which worked well on a teenager’s budget. In Rainbows was my jumping off point with Radiohead and diving down into their discography was a joyous experience. They are already touring and putting out a re-issue of OK Computer so they might as well slap the Anniversary title on the tour, practice playing both albums all the way through, and let’s do the damn thing. This isn’t a hard thing to picture. He released Compton back in 2015 and announced that it was his final album. The Straight Outta Compton film was widely successful and Dre already did a Bad Boy reunion tour last year with Snoop and Puff Daddy. A National Anniversary Tour would not be a stretch, even if Dr. Dre is 52. I don’t even care if it was just a 5 or 6 show tour around the major US cities. Dre brings all of his friends and you turn it into a 5 hour party celebrating what is considered to be one of the greatest albums of all time. The Chronic was innovative and personal and the world of Hip-Hop was never the same after it’s release in 1992. 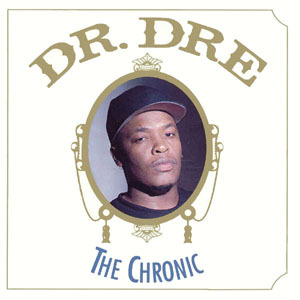 It’s an album that needs to be commemorated and I would be happy to buy the tickets to hear it live before Dr. Dre finally stops touring for good.